Brian Marz's Fly Fishing Oregon Blog: Welcome to my Website!! Welcome to my new website!! I am really excited to get this blog rolling, and I am hoping I will get a lot of people bookmarking this site. There will be plenty of fishing reports to check out, because I try and document where I am fishing at and what was going on for the day. Typically I will post up photos and video content of the day's fishing events. 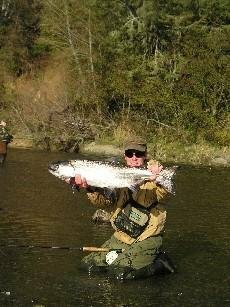 I will also put up informational entries like fly tying videos, topics like product reviews, and equipment/fishing technique discussions. Smallie taken on "Mr Wiggles"
Traveling to the tropics is what I have the least experience in, and I would really love to build my saltwater resume up with fish like bonefish, GT's, a permit or several, snook, redfish, roosterfish, and a whole lot more. What I have done so far was a blast, and that is simply the reason to want to pursue more tropical saltwater fly fishing. 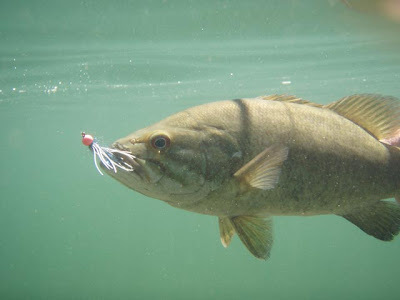 Even the smaller fish feel like they are huge, and make a reel scream like you are hooked on a car. 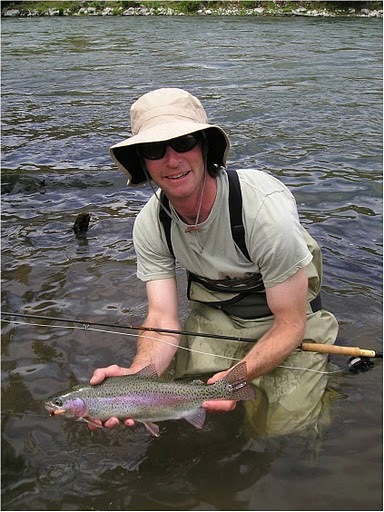 Basically, I love fly fishing, and really enjoyed being involved in it any way that I can. Whether I am out fishing for fun, guiding someone into their first steelhead ever, or witnessing a blanket caddis hatch with clients while we are trying to figure out what the trout will be taking; I am totally stoked on this wonderful sport we have. Time to go hit the Clackamas river for some fly fishing!